You don’t need lots of money to think big, especially if your business is online. Phil Rothwell, marketing director of ecommerce software supplier, SellerDeck, shares his tips and experience below. Sellerdeck are also offering one lucky reader the chance to take their business to the next level with a whole host of free ecommerce products and support. One of the things that almost all new businesses have in common is a lack of money. I’ve worked in a number of start-ups and I can’t remember the number of times I’ve wondered what I might be able to achieve had I got a few hundred thousand pounds at my disposal. The interesting thing is though, when my company did have a lot of cash to spend in the dot.com boom of the late nineties, the reality didn’t match the dream. To cut a long story short, we blew it. The truth is that finance is extremely important in business, but it’s no substitute for business acumen and operational discipline. In fact, if my experience proved anything, it is that it is possible to have too much success and too much money. The former makes you arrogant and the latter far too relaxed about spending in general and contract negotiations in particular. If you are willing to believe that lacking a decent pot of cash can be a blessing, then I have further good news for you. Over the last decade the range of businesses you can start with a meagre pool of funds has mushroomed. Twenty years ago, there was a saying that all you needed to set up a public relations company was a desk a chair and a telephone. Today, you can setup an online retail business with a notebook, an internet connection and a mobile phone. You can always use someone else’s desk if you need one. 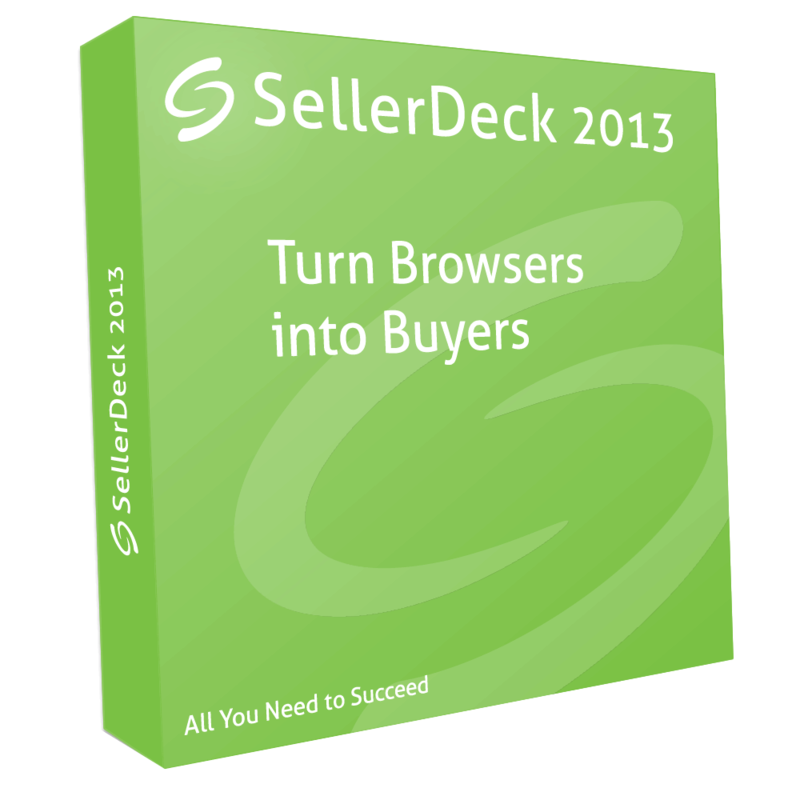 Question: How many online merchants use SellerDeck? 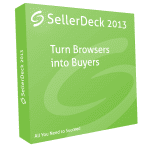 SellerDeck Catalog 2013 is a complete ecommerce software package that installs on your PC, just like Word or Excel do. It contains everything you need to get your online shop up and selling in a few hours. Coupled with the training day and technical support from SellerDeck’s team in Surrey, you’ll soon be wondering why you didn’t take the plunge earlier. But it’s not just technology itself that has revolutionised the way business works, it’s the way technology is supplied and the services it has facilitated that have been far more transformational. Once upon a time, setting up a company demanded a relatively substantial financial outlay covering the basic legal and the infrastructural things you need to get going. Buy template legal agreements from websites such as Contract Store. The same is true of technical services. As well as financing your computer hardware, you can buy the essential software you need on a pay-as-you-go basis. For well under £50 a month you can pay for a company to host your website and email address and even host your online store. You don’t even have to be technical as many services are designed for novice users. However, some basic writing and image editing skills can get you a long way, especially if you start by trading on eBay and Amazon, or build your own online store using a product like SellerDeck Catalog. 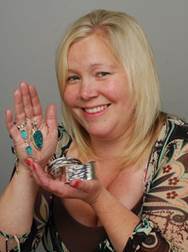 Helen Beer of QualitySilver.co.uk is a mumpreneur who has been using SellerDeck as her ecommerce platform since 2003. She commuted into London for 12 years before having her son. After juggling a job and a baby for a couple of years she gave up and turned to selling jewellery online. She now has three websites and her profits are twice what she earned in London, plus she has the freedom to fit work around her family. So, if setting up a business is that easy, why doesn’t everyone do it and why isn’t everyone successful? Well, putting it tactfully, not everyone has the imagination and ability to create a successful business. Although my own company, SellerDeck, is an ecommerce supplier, we have always been aware that it’s not our software and services that create success for our customers, we simply enable it. Successful entrepreneurs tend to combine commercial awareness with expertise in the fields they operate in. They seem to know where to spend their money and how to spend their time. Time and money are interchangeable commodities, the key is to spend your time where you can make the most impact, and spend your money where other people can make the most impact. This may be little more than a fancy way of advising you to play to your strengths, but it’s also a challenge for you to find out what your strengths are. One caution, don’t assume you know already. If you are looking for external help, then again the internet has an answer. There are many thousands of freelancers in the UK and beyond, who are willing to sell their skills on reasonable a day rate. So long as you are specific about your needs, you can often engage them on a daily or hourly rate to fill in the gaps in your skill set. At SellerDeck we have a bunch of people who contribute time to the business on daily and hourly rates, it’s a win-win arrangement because we get great service and they arrange their work around their lifestyles. The IT world is particularly suited for this because once the basics are in place business start-ups rarely need full-time IT support; just a few days of time each month to design ecommerce pages, tweak search engine optimisation, maintain systems and generally keep things moving forward. It’s great to have a lot of start-up capital, but if you don’t the internet means that it’s definitely not a show stopper. There are plenty of low cost alternative ways to get your business moving forward and if you love what you do and spend your money wisely, you can start a business on a shoe string. In the early days, think big, but spend small. If things take off you can either enjoy the lifestyle or raise the funds you need to hit the big time. Don’t forget to get your Competition entry in now for a chance to win £900 of Sellerdeck ecommerce products and support! See the box on the top right of the article for details. Work-Life Balance: what’s the role of men?